This book examines the impact of neoliberalism on society, bringing to the forefront a discussion of violence and harm, the inherent inequalities of neoliberalism and the ways in which our everyday lives in the Global North reproduce and facilitate this violence and harm. Drawing on a range of contemporary topics such as state violence, the carceral state, patriarchy, toxic masculinity, death, sports and entertainment, this book unmasks the banal forms of violence and harm that are a routine part of life that usurp, commodify and consume to reify the existing status quo of harm and inequality. It aims to defamiliarize routine forms of violence and inequality, thereby highlighting our own participation in its perpetuation, though consumerism and the consumption of neoliberal dogma. It is essential reading for students across criminology, sociology and political philosophy, particularly those engaged with crimes of the powerful, state crime and social harm. 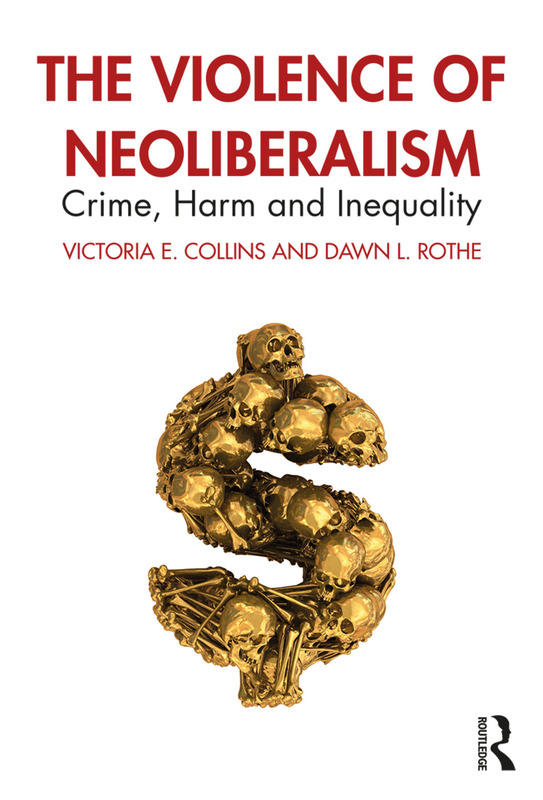 "The Violence of Neoliberalism: Crime, Harm and Inequality is an important critical, scholarly work exploring the emergence of neoliberalism and its relationship to globalization, free-market economics and the resultant pernicious outcomes of this ideology." "Rothe and Collins advance a searing critique of the inherently violent and harm-generating monstrosity of neoliberalism. This book challenges scholars to think beyond extant criminological and zemiological literature on how violence & harm are inextricably woven into the fabric of capitalism, states, governments, institutions, and even well-meaning or seemingly innocuous people and organizations. Ruthlessly critical and unapologetically ambitious, The Violence of Neoliberalism stands as a raised-fist treatise on the inevitability and intractability of direct and indirect violence in the hyper-modern era." Victoria E. Collins is an Associate Professor in the School of Justice Studies at Eastern Kentucky University. Victoria is the author/co-author of three books. Some of Victoria’s recent publications have appeared in journals such as Crime, Media, Culture, Social Justice, Critical Criminology, Contemporary Justice Review, and Critical Sociology. Dawn L. Rothe is a Director and Professor at Florida Atlantic University, School of Criminology and Criminal Justice. She is the author or co-author of ten books and over 100 articles and book chapters. Her overall focus remains on issues of power, inequality, and the harms and violence of the powerful.